Togo’s-Baskin Robbins in the Ravenswood Shopping Center in East Palo Alto. Google photo. 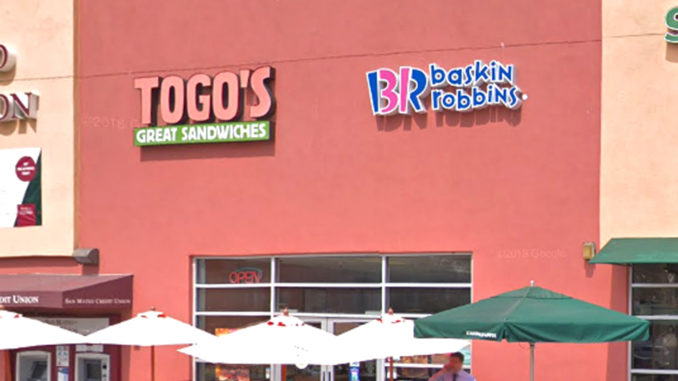 The man who sued the Dutch Goose in west Menlo Park and the Fish Market in San Mateo over disability access has filed a similar lawsuit against the combination Togo’s-Baskin Robbins in the Ravenswood Shopping Center in East Palo Alto, saying the place makes him yell. This is the 14th Americans with Disabilities Act lawsuit that Gerardo Hernandez has filed in federal court this year. Hernandez, who uses a wheelchair, says in his lawsuit that he had problems with the height of the counter, placement of tables and bathroom floor, when visiting the sandwich and ice cream shop on Dec. 20. Hernandez says the order counter is too high, and that he had to yell his order to the employee helping him. “He cannot be heard by employees without yelling. He finds this both difficult and embarrassing, as it draws attention to his disability,” the suit says. A manager at Togos was aware of the lawsuit. 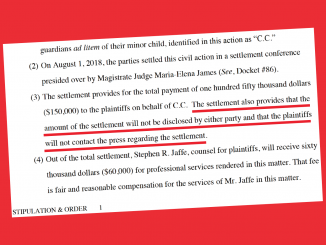 But he said he’s only seen the first page because the lawsuit was sent to the wrong person. The manager also said as far as he was aware, the business was complaint with ADA. The owner of the business did not get back to the Post yesterday. The lawsuit names Palo Alto’s Sandwiches Inc and Cahan Properties as the defendants. 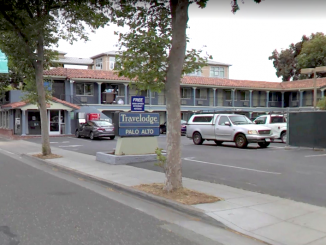 Aside from the Dutch Goose and Fish Market, Hernandez has sued Canyon Inn in Redwood City, Canada College, Final Score Sports Bar in San Jose and many other businesses in the area. The Dutch Goose went through an extensive remodel in 2016, costing upwards of $1 million, after Hernandez’s lawsuit claiming the restaurant wasn’t ADA-compliant.